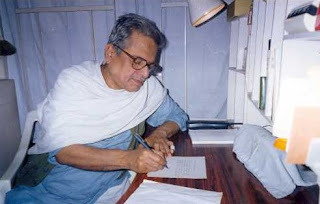 Our Correspondent ●Kolkata: Bengal has lost one of the prominent poets of the Hungry Generation Utpal Kumar Basu on Saturday (3 October). This septuagenarian breathed his last after prolonged ill at a South Kolkata nursing home. Basu, who was a geologist by profession, had to move around the globe extensively in his early life. His first book ‘Chaitrye Rochito Kobita’ was published in 1956 and it marked the beginning of a new poetic language in the literary world of Bengal. He wrote many path-breaking collections of poems like ‘Puri Series’, ‘Salma Jorir Kaaj’, ‘Lochondas Karigar’ and ‘Kahabotir Naach’ etc. 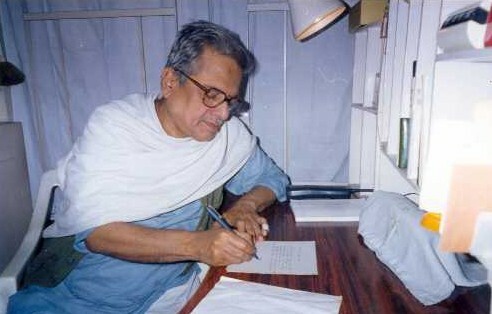 Basu was awarded with Ananda Puraskar in 2006 for his book ‘Sukh Dukkher Sathi’. He was also received the Sahitya Academy Award for the book 'Piya Mana Bhabe' in 2014.